Book one of our Albufeira Sailing Charters and leave the cares of the world behind! On board our various sailing and motor boats, you can relax and enjoy the sunshine and sights! You can also learn about sailing and take your turn at the helm- it’s up to you! Explore caves and rock formations and search for wild dolphins! Whether you are planning a celebration, family outing or even a proposal, we can organize the perfect option for you and tailor it to your specific needs! Why book our Albufeira Sailing Charters? Looking for an exclusive trip for two? Celebrate a special event with a group of friends? We certainly have the boat for you! Large team building groups are also not a problem, as we specialize in tailor made events! 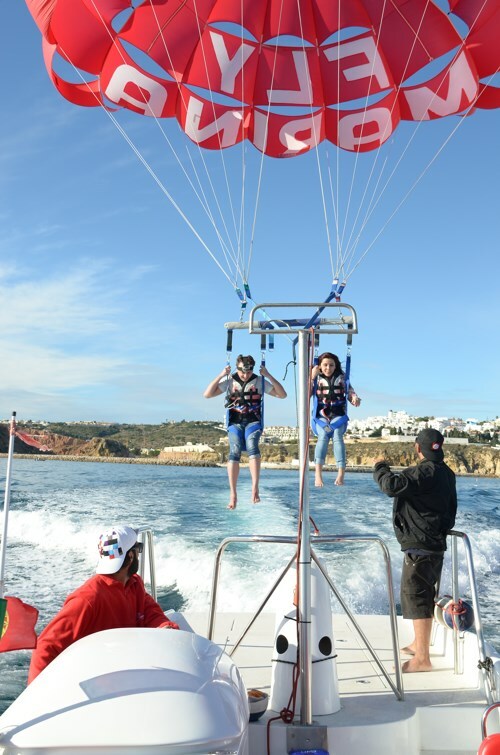 Our Albufeira Sailing Charters ensure our clients have the best experience possible, with stress free planning! . You can choose from half day cave tours, to full day beach bbq cruises, speedy adrenaline trips and even fun sunset cruises! Looking for something a bit more budget friendly? No problem! 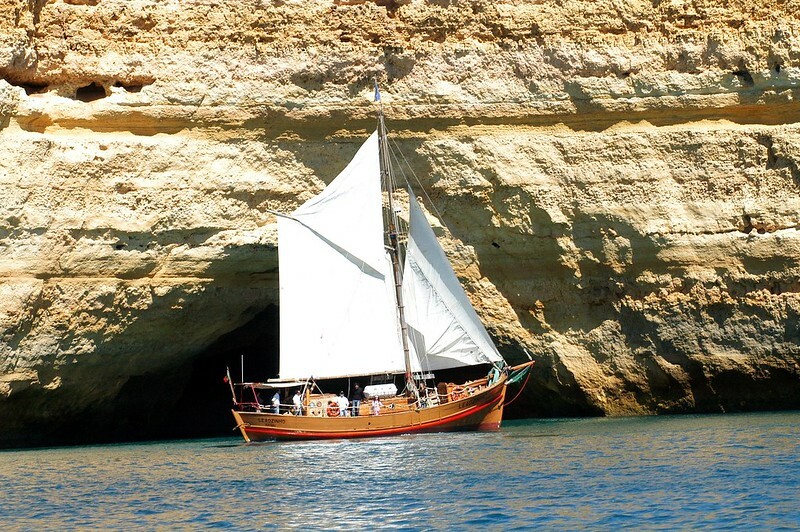 Along with our Albufeira Sailing Charters, another option we offer are our public boat trips! 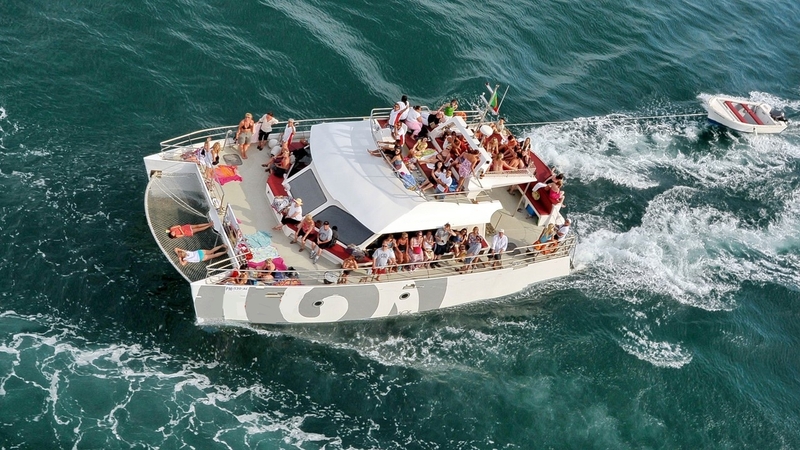 Choose from half day cruises to full day beach bbq cruises and even fun sunset cruises with Dj! At even more affordable rates! 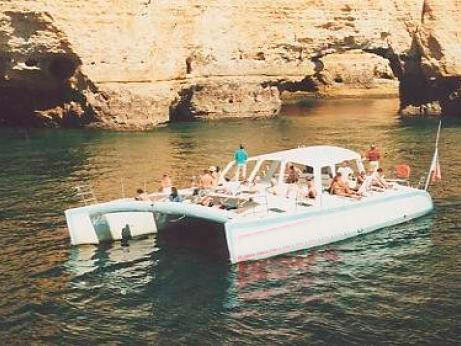 Follow this link for all of our Albufeira Boat Trips! No problem! Browse through our website, as we offer many fun activities on land and in the air! Check out fun group activities like our team building packages, jeep tours, segway tours, racing experiences… even bubble football and beer bikes!Likewise, we can arrange special group dinners! Above all, we want to make sure your planning is stress free, so contact us at portugalsportandadventure@gmail.com and we will help you plan your ideal Albufeira Sailing Charter from start to finish! 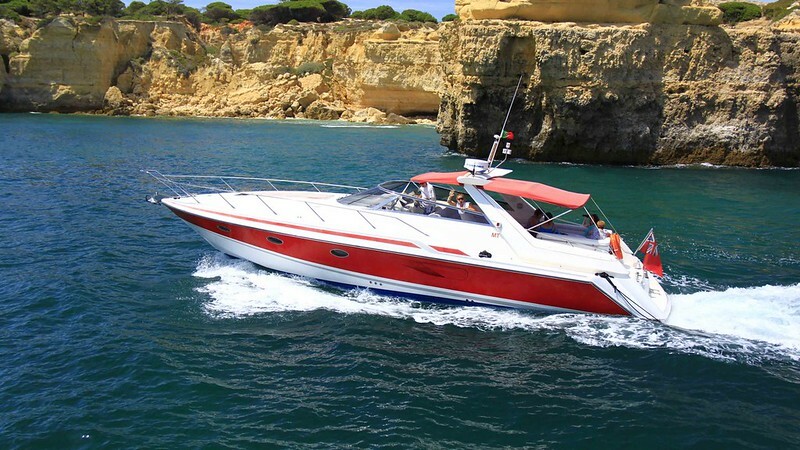 We are happy to talk you through all the suitable boats for charter in the Algarve so you can choose the best option for you- please contact us with your requirements and for yacht charter brochures. Cruise in traditional style aboard our pirate ship! We offer six hour boat trips from Albufeira combine beautiful scenery with great food. The cruise heads out into the Atlantic past Castelo and Praia da Galé, Armação de Pêra, the Rockchapel Senhora da Rocha and the beaches of Marina and Benagil. We’ll then anchor by an isolated beach for a barbecue and free time for a swim or to sunbathe or play on the beach before sailing back to Albufeira. Half day or sunset cruises are also available. Motor boat with exterior seating, bar and WC. There is a ladder to allow easy access to the sea for bathing and a smaller boat to explore the caves. Maximum capacity: 58 people. Our 43ft Sunseeker is available for private charter, taking a maximum of 12 passengers. This boat is available for morning, afternoon or sunset and full day charters, which can be tailor made for your requirements. Passengers are greeted with sparkling wine and fresh fruit platters. Not included is lunch – we can organize on board catering or stop at one of the many beachfront restaurants and book you in for lunch. This is a really great option for families travelling with small children or babies as the indoor cabin is cool and spacious! 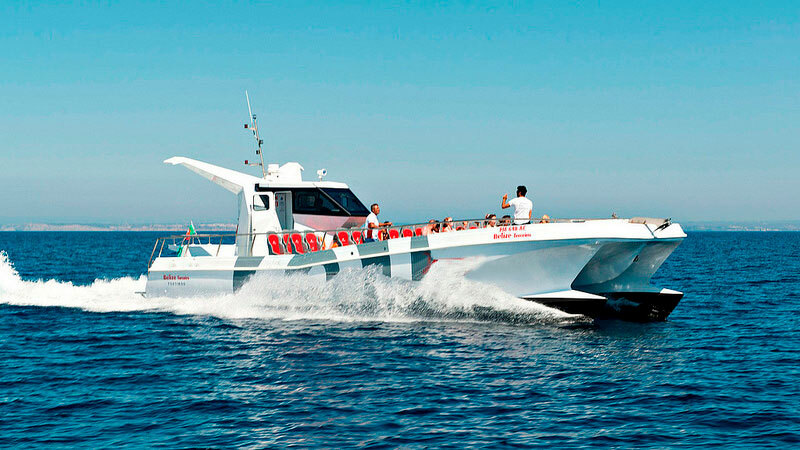 Motor catamaran with exterior and interior decks with cushioned seating, bar and WCs. There is a ladder to allow easy access to the sea for bathing and a smaller boat to explore the caves. Maximum capacity: 70 people. Zip around the coastline in our beautiful speedboat! We offer fun filled watersports packages (2 hours in duration) that include waterskiing, wakeboarding, inflatables and parasailing!